Castletown parkrun is a FREE weekly 5km event for runners of all standards, which takes place every Saturday at 9:30am in Castletown House, Celbridge, Co Kildare. It is not a race against other runners, but a 5k timed run and it can really be whatever you want it to be, whether that's for fun or as part of a training plan. Every week we grab a post parkrun coffee in The courtyard café, open after parkrun for your enjoyment - please come and join us! Maybe swap stories about your run that day, chat to other runners over a cup of tea or coffee and just be an important part of this new running community. Office of Public Works: The Office of Public Works is delighted to host Castletown parkrun, a FREE weekly 5k event for all standards. Every Saturday morning at 9:30am. 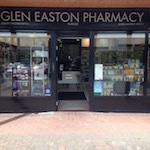 ?Do come along and enjoy a 5k in this beautiful picturesque setting. 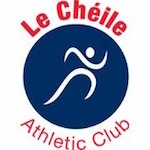 Le Cheile AC: Providing outstanding athletic facilities and training to all ages including fit4life groups and happy to support parkrun in the community. Leixlip Tennis Club : Enjoying fitness and tennis on our outstanding facilities in Leixlip and proud to support Castletown parkrun, Celbridge. My Personal Trainer: Providing one to one training and happy to support parkrun in the community. Celbridge AC: Celbridge AC is a local athletics club that caters for all abilities of athlete, competitive and non-competitive are all welcome. Celbridge AC are very proud to support Castletown parkrun. 2017-06-19 Keith Ashmore Castletown €20.00 €20.00 €0.00 AED fundraising for Castletown parkrun. 2017-06-17 Siobhan O' Brien Castletown €20.00 €20.00 €0.00 For AED fund for Castletown Parkrun. This might give someone a fighting chance. Hopefully it will never have to be used at Castletown Parkrun. 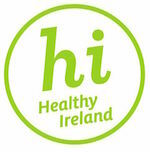 2015-10-22 Edward McGrane Castletown €10.00 €8.50 €1.50 Please pass this contribution on to Castletown parkrun - From Ed + Caroline McGrane - Wishing Sharon and her team great success with Castletown parkrun.